Welcome to Computer Corner, the best computer repair shop serving the residents and businesses of Lady Lake! No problem is too difficult for our team of dedicated computer professionals to handle. Currently, we provide services from computer upgrades, diagnostics, screen repair, security, networking and computer sales. Your time and money are valuable and Computer Corner prides ourselves on being able to offer you the most practical, precise, and affordable computer solutions around. When you trust in Computer Corner to fix your computer, you can be assured it will be as stress free as possible because of our unmatched customer care and customer service. 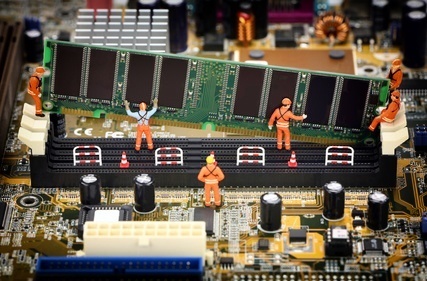 For home and small business computer repair, Lady Lake has no better computer company to turn to than Computer Corner! Please give us a call today at (352) 460-1155 for any and all of your computer needs! So why choose Computer Corner? Every decision Computer Corner makes while doing repairs is with your best interest in mind. We have an honest, professional, and friendly staff and our customers overall have a positive experience when coming to Computer Corner. But there’s no need to take our word for it, scroll down and read some of others have to say about Computer Corner! Our average repair time is 3-5 business days or less. It can take up to two weeks at other computer shops just to get your computer looked at. We understand how important your computer is to you, and that is why we work efficiently to get your repair done in a expeditious manner. Computer Corner is a locally owned and operated computer repair business. Our customers are not “numbers”…they are real people with real computer issues and we are here to help. We live in the community and strive to always provide quality service to the residents and businesses located there. Why pay more than your computer’s worth to get your computer to work? We offer the best repair prices that are both fair and affordable. We want to hear from you! If you have a free moment, please leave a review on your favorite platform about Computer Corner to let others know about your experience. You must have an active account and be logged in to leave a review. Download our FREE Guide to Staying Safe Online & subscribe to our email blast newsletter with news about the latest technology trends and specials from Computer Corner. Straightforward answers, quick service, and a friendly smile! Simply... 5-Star, A-Plus customer service. These guys are the best. They are very knowledgeable and reasonably priced! These guys are the best thing since sliced bread! They know their stuff and are reasonably priced! I had a hard drive go down on a piece of video equipment. Michael and Computer Corner had me up and running in just a few days (parts had to be ordered). Thank you Computer Corner! My son owns a computer businness in NC so when we needed someone local, we got a recommendation for Computer Corner from a friend. I am more than pleased. I will recommend them in a heartbeat. They communicated the status of my computer to me by text and the work was done very fast and the turnaround would probably have been faster if it hadn't been Thanksgiving week. Best experience I've had with laptop repairs in Florida. Answered my many questions quickly, informed me of all of my options, and made sure I took home a well tuned machine. All repairs are costly no matter where you go, but at least you get what you pay for with the helpful staff here. As I type this, I'm planning another trip to see them. 5 STARS Great service at reasonable prices. I will continue to be a customer. They took care of my computer promptly! Removed all of the viruses that were on my system and upgrade it to make it run like the day I bought it. I would highly recommend Computer Corner! Lost audio on laptop after windows update. Pleased with service to restore and pricing. Very knowledgeable and personable in explaining to a Sr citizen. Outstanding service. They recovered my computer when it had been hacked and wouldn't reboot. I lost nothing and they cleaned the mess from the hackers. Could ask for better service, and they are very reasonable. I'll go back to them again if I ever have any problems.